Fox News host Megyn Kelly and GOP frontrunner Donald Trump met this morning at Trump Tower, with details of their exchange to be revealed tonight on "The Kelly File." The meeting was first noted by an NBC News reporter on Twitter. CNN reports that Fox News boss Roger Ailes was not present at the meeting. A Fox News spokesperson issued the following statement to TheWrap: FOX News Chairman & CEO Roger Ailes has spoken to Donald Trump a few times over the past three months about appearing on a FOX Broadcasting special with Megyn Kelly airing on May 23. Kelly requested a meeting with Mr. Trump, which took place at Trump Tower this morning. The results of that meeting will be revealed on tonight's Kelly File at 9PM/ET. Kelly has acknowledged in recent interviews that Trump is a fascinating person to cover and has electrified the Republican base. SEE ALSO:Is Something Brewing Between Megyn Kelly and Donald Trump? The history between Kelly and Trump is well documented. Trump got upset by a question Kelly asked at last summer's GOP debate and attacked her on Twitter as a result. Trump called her derogatory names and even asked for a boycott of her show, but her ratings and fame continued to rise. Fox News boss Roger Ailes defended Kelly, even issuing a snarky, out-of-character press release regarding the situation. Trump eventually skipped a Fox News debate before reuniting with Kelly for the most recent Fox News debate. The two played nice on the debate stage, but Trump's Twitter continued until April 1 when they suddenly stopped. Kelly recently said she would be open to interviewing Trump but has not extended a specific invitation. "To be honest, every time I prepare an invitation to sit down with him, he attacks me on Twitter or elsewhere," she told Variety. "I had always been hoping I could reach out to him at a time when he wasn't angry. I don't think it would be a good interview if he was angry at me — but then he never stops with the attacks." 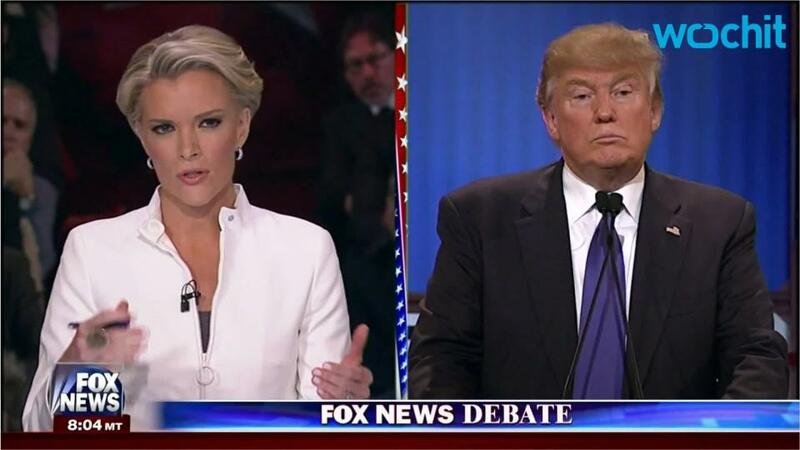 Is Something Brewing Between Megyn Kelly and Donald Trump?